We often tend to associate money-saving techniques with strict restrictions. We assume that a budget will make us quit spending altogether. We feel apprehensive about its effect on our lifestyles. Well, before we start saving money, we need to change this mindset. Budgeting systems help us prioritize our financial goals. We should utilize these budgeting systems to make a spending plan that optimizes our savings. There are several budgeting systems designed for different spending and saving pattern. Each person has different levels of income, areas of expenses and priorities, and your budget should suit your purpose. You should go through the intricacies of these budget plans and choose the one that caters to your needs. For beginners, the 50-30-20 budget system can be a great start. This system recommends that you allocate around 50% of your total income towards your necessities, 30% for your wants and the remaining 20% for savings and debt settlement. As you figure out a suitable budget plan and integrate your spending with it, you will have to look for ways to save for your financial goals. Most banks provide the facility of automatically channelizing your money towards your savings. You could create Recurring Deposit accounts and set up a standing instruction to transfer a fixed amount from your salary account every month. Some banks also have this feature called "auto-sweep," which automatically sweeps money from your account and creates short-term temporary Fixed Deposits. This feature does not require your authorization each time; it sweeps your money off your account whenever it finds a substantial amount in your savings account. Auto-sweep FDs do not have a lock-in period and you can withdraw the money using your debit card whenever you want. This is a great way to earn interest on money that you are not using at the moment; moreover, it doesn't require any effort from your end. When you are running on a tight budget, abstain from using credit cards. Calculate your daily expenses and use cash for all transactions. Parting with hard cash is difficult and will stop you from overspending. Go back to your childhood days and start using a piggy bank again. Empty your bags and pockets at the end of each day and collect whatever extra change is left with you. 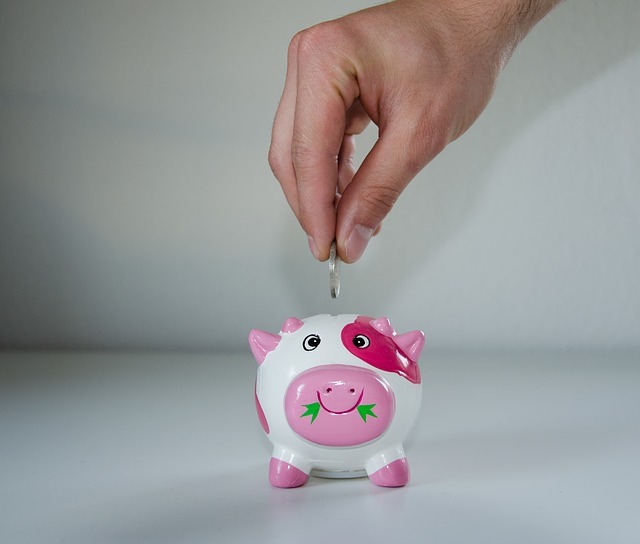 Put the amount in your piggy bank and deposit the collection into your savings whenever you have a significant amount. Prepare a little before you go grocery shopping. Conduct an inventory check and check your pantry thoroughly to make a list of things you need. Stick to the grocery list and purchase only the things that you need. We often tend to buy things that we do not need and end up wasting them as well as the money. A list can keep such wastage under tight check. Many supermarkets offer discount coupons and loyalty programs - collect them and use them to save more. Credit cards often have tie-ups with stores and offer discounts on purchase. Check if your credit card can help you maximize your savings while you buy groceries. Don't scrimp and save by sabotaging your social life, especially if you are a gregarious person. Mingling with friends and eating out is a crucial part of socializing; if you restrict yourself from it, you will be utterly frustrated and might end up overspending by submitting to your temptations. Cut down your frequency of dining out, but don't stop it entirely. Stick to your budget when you dine out. Order carefully so that there isn't any excess. Restrict yourself to smaller portions. Order appetizers or split an entree with someone so that you stay within your budget whenever you eat out. Quite a few credit cards provide dining privileges where you get a discount on restaurant bills. Check out for offers on websites like Dineout and Zomato - you might find attractive deals and discounts. Nobody would like to miss out on a new movie or a visit to the new amusement park in town. However, these could sometimes be quite expensive. Would everyone happily agree to stop themselves from these? I think not. Look out for discounts on tickets - many credit cards offer attractive deals on purchase of entertainment packages. There are websites like Nearbuy and GrabOn that help you save money on such entertainment costs. Paytm and bookmyshow often provide discounts or freebies on purchase of movie tickets. If your way of fun is a bit on the nerdy side, you could look for free days at museums, observatories and national parks. Is there a new television set that you've been eyeing since a long time? Does your furniture look a little outdated and need a revamp? Are you planning to buy some new gadgets or appliances? Well, these are generally not sudden and immediate purchases. You typically plan for these, so don't rush into it. You might later find a better price and repent. Wait for the sale or discount season. You will be able to get the goods at a much cheaper rate. Most retailers offer sale quite often. Wait for the right opportunity and make these major purchases at the lowest possible price. Buying things online can be quite economical as you get attractive discounts most of the times. However, e-commerce is known to have turned a lot of people into shopaholics. Once you create an account with an e-retailer by saving your cards and shipping details, it just takes a couple of clicks to make a purchase. This can make you susceptible to impulsive purchases. Try not to save your details in these merchant websites or apps. If you force yourself to enter your shipping details and card information every time you try to make a purchase, your tendency to make frequent impulsive purchases will reduce. It might sound silly, but it has worked well for many. You might be on a tight budget, but you cannot possibly avoid the birthdays and weddings and other occasions that involves gifting. A good gift can be quite pricey. The cost of too many gift purchases can also add up to leave a dent in your budget. Avoid buying expensive gifts. DIY gifts are appreciated by many - they convey genuine emotions through customization and reduce your pocket pinch at the same time. You could also consider gifting in a group - chip in to build up a gift contribution fund so that you can purchase a satisfactory gift which won't be too heavy on anyone's pocket. A little adjustment in your lifestyle could help you reduce your monthly expenditure and save more each month. Here are some areas that you could consider for cutting down the expenses. In case you have an auto loan or a home loan or a personal loan, you might be unknowingly paying a lot more than you ought to. Consider refinancing the loan to get a lower rate of interest. 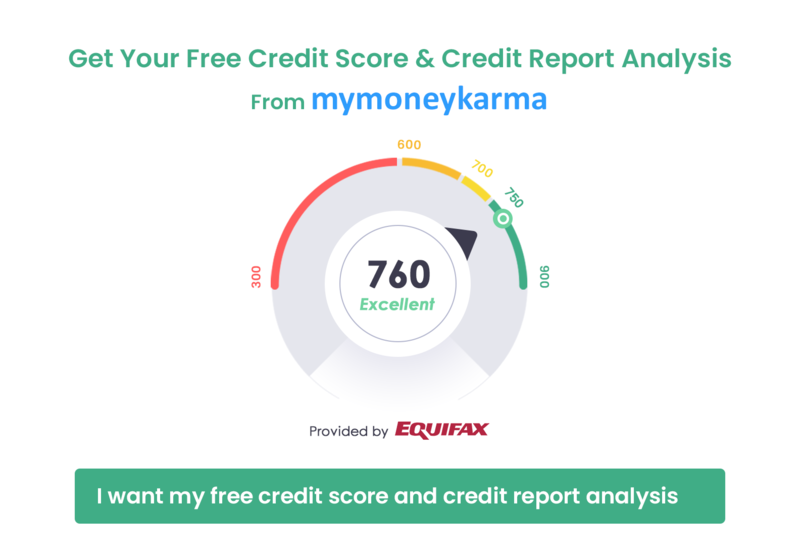 You can take help from mymoneykarma in this aspect - while you sit back and relax, we can sort out your loan repayments and get you a good deal at a lower interest rate. You could save a lot of money this way. Look for ways to reduce your expenses on utilities. Many mobile networks in India provide great combination deals if you subscribe to their cable or internet connection. You might be paying ₹1000 on mobile bills, ₹750 on internet connection and another ₹500 on cable network subscription. However, you might get all three from the same service provider at just ₹1500 or ₹1800. It would save a lot of money. Sometimes we unknowingly end up paying oodles of money for our phone connection. You could change your billing plan to a cheaper one. At times you might just keep paying a standard amount without bothering to check with your service provider if a better scheme is available. Teleservice providers constantly upgrade their schemes and launch better and cheaper ones. They obviously won't call you to offer a cheaper plan, but you can always call them up and check for better deals. Be careful with electricity usage. Make sure that you don't keep any gadget on when they are not in use, especially the heavy consumption ones like a geyser or an air conditioner. Monitor your electricity bills and look for sudden fluctuations. Long-term financial goals call for serious planning and disciplined adherence to those plans. If you wish to build an emergency fund or buy a house in future or save for a grand vacation, you must learn to set goal appropriately, track your spending and save well to realize these goals. Here are a few effective ways to save for your long-term goals. You must keep an eye on your expenses and carefully observe your spending habits. Keep a record of every account that you have, including all your credit cards. You must also have a sound knowledge of your monthly cash flow. Carefully examine all your account statements and locate the areas where you are spending unreasonably. If you wish to understand your spending habits well, you must figure out a way to categorize your expenses. Your monthly expenses have fixed and floating components. If you can sort them into categories, you can easily identify the areas where you are overspending. While fixed expenses aren't likely to fluctuate, maybe your variable expenses will make you realize that you hardly use a particular service that you are regularly paying for, or you might figure out that you are dining out too often. Once you know where you need to control your spending, you can free up a lot of money. Once you have understood your spending pattern, you must prioritize your expenses and figure out ways to reduce your expenditure. Critically observe your spending habits to understand where you are overspending. Set up a monthly budget for yourself. As mentioned earlier, financial experts recommend the popular 50-30-20 budget plan for beginners until you learn to create your own budget plan. Being on a budget will help you restrict inessential expenses so that you can set the savings aside for reaching your targets. Set a timeline for your goals; work hard to accomplish them. Simply saving some portions of your income every month will not optimize your savings. If the money is readily available, you could end up spending it. You need to find the right and safe place to save the money allocated for your long-term financial goals. Your emergency fund should be easily accessible; apart from that, all your savings for your long-term savings should be locked away safely in a financially profitable long-term deposit scheme. This will not only keep your money secure from a possible spendthrift tendency and would also earn you positive returns. Increasing and optimizing your savings isn't a tough job if you can learn to tweak your expenses. You need not be too hard upon yourself and stop spending altogether. Developing a disciplined financial habit and diligently following your budget can work wonders. If you make mistakes, rectify them and learn from them. Try out these tips to save more every month.